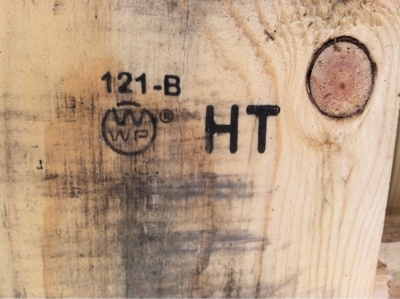 Pallets that are marked in this symbol have been heat treated, NOT chemically treated, and are safe to use in the garden!! Great, huh? Especially because there are so many AMAZING Pinterest ideas using pallets. We find ours at our local hardware store, for free (ask first!) in the store's burn pile out back or for around $4 new. Back to gardening, or as little man says farming. 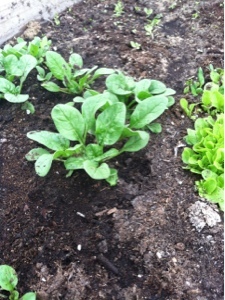 "Mom, our new spinach leaves taste like real spinach! We did it! We are farmers!! " 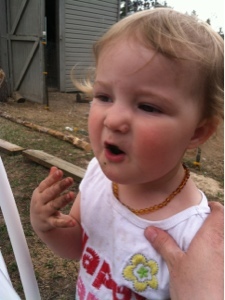 Baby is chowing on it as I write, covered in dirt. Ha!